The Admission Committee for Professional Medical Educational Courses (ACPMEC) officially declared the merit list on today. Candidates can see Merit using their Entrance Test (GujCET) Roll number. Admission process reshuffling schedule will come soon. Find out ACP Medical Merit List details below. 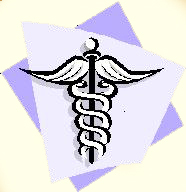 How to check ACPMEC Medical Paramedical Merit List 2015 ? Find and click on ‘ Medical Paramedical Merit List’ Link. Merit list still not appear on the above mentioned site.